So how did the team take an a unloved scheme and turn it into Australia’s most successful bike share? Like all well executed plans, it looks simple in hindsight. Cost – the scheme was introduced with a membership fee structure that had proved an immediate disincentive to potential users. The team convinced Monash University that it would be better to have people using the bikes for free than to have those same bikes rusting in a shed. Awareness – Notwithstanding the relative visibility of the bikes around campus, there remained the problem of people’s awareness of how and when to use them. To solve this, the team sought to draw in separate groups within the campus to show how the bikes could directly benefit them. By ratcheting up their use by specific users, the team were able to increase the visibility of the bikes actually being used – and thereby tripping the tipping point for network effects. There’s no doubt getting a critical mass of people to use the bikes was a great achievement for the team. Perhaps the more intriguing thing is their understanding of the way the business works. On the face of it, you’d think that the customers of the bikeshare are the folk who ride the bikes. Not so, say the team, they see their primary customer as Monash University. This starts to make sense when you break down the benefits. Encourage better and more timely attendance by students. Which leads us to potentially the most interesting part of the conversation. If the customer of the bikeshare is Monash University, as it pays to derive the aforementioned benefits, what are users? You could argue that they are the beneficiaries of a fabulous free service. But we think there’s more to it than that. This is the same situation that has been played out in the models employed by Facebook, Twitter and anyone else that seeks to monetise the consumer. We get to use their platform, and they get to sell our attention and data. The costs of getting the platform up are minor compared to the payoff of locking in the network. That’s why we believe that there is a different model. That this is the perfect opportunity for a new type of consumer coop – where the members benefit from using the bikes, and where the customers are those organisations that derive second order benefits. The members own the bikes, the data and the platform. The coop negotiates the terms with the customers. See this is about more than sharing bikes. As the mesh – as Lisa Gansky calls it – sends its tentacles ever deeper, the real world gets mapped in greater and greater virtual detail. So that while the sharing of assets and infrastructure get more efficient, so too does the information about those that are using them. Our customers want to know more about us. You want to hop in that self-driving car? Sure just wave your chip, and we’ll map you into the grid. Think about the types of data that the self-driving car company will want on you. They’ll want to check that you wear deodorant and haven’t trashed any self-driving cars lately. Our reputation will be built by the things we do and the data exhaust that comes with it. Regular readers will know that I believe data coops offer a way through to the next place. That our personal data is best managed in ways that enables the individual to maximise control while still allowing the collective to optimise value in aggregate. Having had a good look at the Monash BikeShare, it looks like a great place for the personal data revolution to start…. The aim of SMart is to assist skilled freelancers in managing their business administration. It does this by helping with contracting, invoicing and associated functions like insurance, accounting and tax. These functions are primarily managed through the SMart IT platform. Additionally, every member is allocated a personal advisor to provide career and legal support. It’s intentionally a high touch approach. 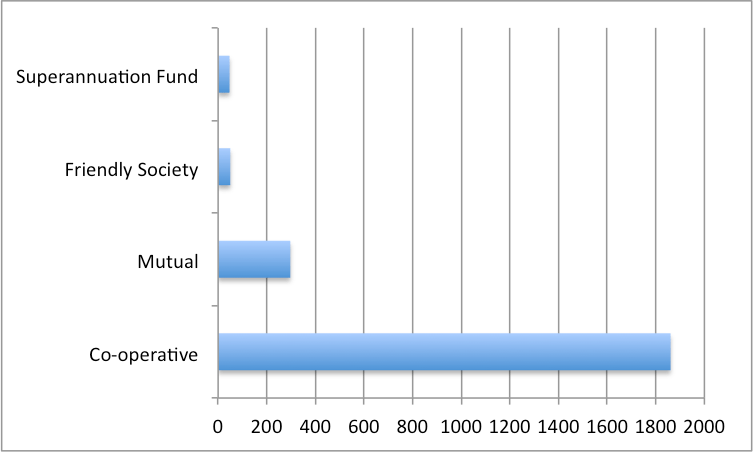 As there are ~50 advisers for ~20,000 active members, every advisor has 400 potential clients to work with. As a former adviser, Lieza confirmed that this is a number that works in practice. Aggregate purchasing power to enable better access to services such as creative hubs, equipment hire etc, and to business support such as insurance and training. SMart has helped 90,000 people in Belguim since its inception in 1998 – artists, architects, journalists, IT developers, graphic designers, dog-walkers etc. It is expanding into 9 European countries currently, and Canada has a project underway to explore how the model could be applied within its borders. The core idea behind SMart is that members create a pooled capability that can be shared without fear or favour – it’s a new type of worker cooperative. The resources and services of the cooperative are financed by collecting revenue based on the volume of business undertaken on the platform. As freelancers typically have irregular income, each member is participating according to their billing capabilities. It’s a system based on solidarity. This pooling system enables 100% of the members to benefit from SMart’s services when, based on billing capacities only, SMart services are covered by 20% of its active members. First up, a snapshot of SMart’s revenue. When a freelancer becomes a member, they can use the platform to contract with their clients. In doing so, they actually become an employee of SMart during the term of a contract – which means that SMart reports the gross revenue of all their members. For the same reason, SMart’s expenses include the wages, commissions and other fees that are paid to members as their employer. To get a clearer picture of the operating performance of SMart, they also provide a ‘clean’ income statement where the activities of members are excluded from the analysis. I have included the complete income statement at the end of this article. Participation of members in shared costs – Members share in the costs of running SMart by effectively paying a fee of 6.5% of the value of the contracts that they enter into on the platform. You can see this number flow through from the gross revenue number reported (ie. 6.5% of €136m is ~€8.9m). Benefits from pooling – This revenue item contributes as much again as the 6.5% fee – and it is not clear exactly what it relates to from the accounts. The reference to ‘rebates and reduced commercial charges’ implies that SMart is receiving a margin on products and services that it provides to its members. In essence, the volume of administrative, tax, commercial transactions gives rise to scale benefits that the SMart cooperative collects on behalf of its members. Given that there are approximately 20,000 currently active members, the average annual cost of the entire platform is €850 per member. If the principle that 20% of the members effectively bear 100% of the costs holds true, then the average cost per year for these folk would be €4250. Either way, these costs seem pretty reasonable given the services provided! Permanent staff – SMart has intentionally pursued a high-touch service model. It believes that by marrying the technology platform with expert advice, its members are best able to learn and develop their businesses. For this reason the largest component of its permanent staff are personal advisors and legal specialists. Additionally it has a large IT team to support this infrastructure that must be tailored to each legal jurisdiction. It also requires a core team for debt collection and contract management. Bankruptcy losses – Based on these two years, SMart has a reasonably high bad debts experience. As Lieza explained, the losses from bankruptcy arise principally from bankruptcies by major employers (SMart will pay out the employees even if the employer is unable to). While the bad debts experience may be material, the social benefit of providing this safety net to members is significant. This model, whether in whole in or in part, has direct application in the Australian context. Following are some reflections on the opportunity and how it could work. The platform used by SMart is highly customised to the European context. Even if the tech stack can be installed on an Australian domiciled server, it will require customization and integrations with the likes of the ATO, WorkCover, ASIC as well as an API for industry super funds and local accounting packages to draw upon. There is also the question of ongoing development and maintenance of the ‘core’ and the customised components. How will a federated SMart infrastructure be governed and developed across an international user base? This raises questions whether importing the SMart model is really about protocols and processes – and what technology could be efficiently shared. The approach taken by SMart is very much industry agnostic. They can be used by any skilled freelancer regardless of the type of work they do. In their experience, freelancers are often career polymaths moving from industry to industry, even over the course of a year. To effectively spread the risks and costs of the business, they need to adopt this approach. 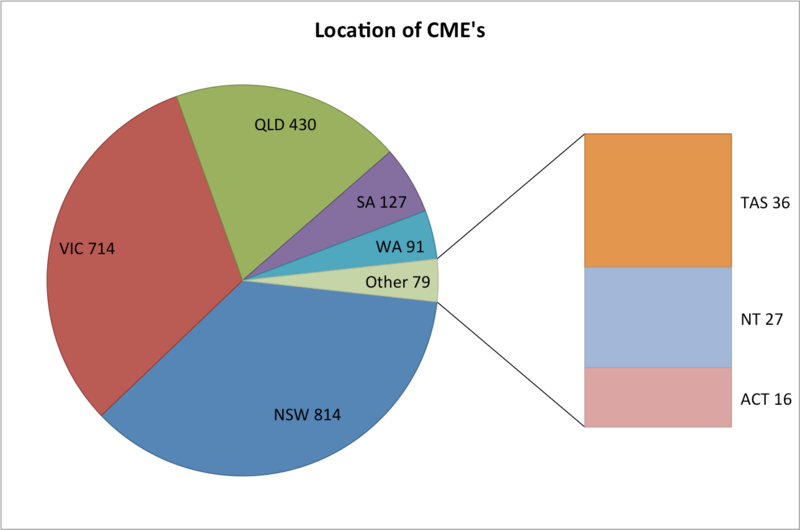 In Australia, there may be advantages to breaking at least parts of the model into industry segments. For example, it may assist to have specialization around member communication, career advice, micro-financing, training and standardization of contracts. This specialization could occur within a single entity or through the creation of industry specific organisations. The challenge then is how to aggregate those functions that are common. For example, the mutual guarantee fund and the ‘core’ technology components could be best shared across industries. SMart has intentionally eschewed setting up marketplaces for its members. Their view is that this is a business that could conflict with their single-minded representation of skilled freelancers. As online markets are generally industry or skill specific, this may support the notion that implementations of the model are industry specific. For example, the creation of a ‘pacemaker coop’ in the graphic design sector could have material benefits in bringing up standards for all workers (following the Stocksy model). In the Australian landscape, freelancers are typically required to register for their own ABN. They can have all the same problems in managing their back-office, payments, training, and super – but they do so from the perspective of a registered sole proprietor. This may create barriers, whether cultural, legal or mechanical, for the ‘freelancer as employee’ model. SMart have taken a very constrained approach to data, for example, avoiding any temptation to undertake deep analytics of their member base. This approach meant that navigating the recent introduction of GPDR was relatively straight-forward for them. My view is that coops offer a very attractive way for enabling individuals to better manage their data for both their own benefit and collectively. This is exactly where the work with the farming sector has taken us. Given this, there is a substantial opportunity for the SMart model to lead to better data management tools and capabilities for its members. Where to start with an Australian model? Any member-owned organisation must grow from the ground up. 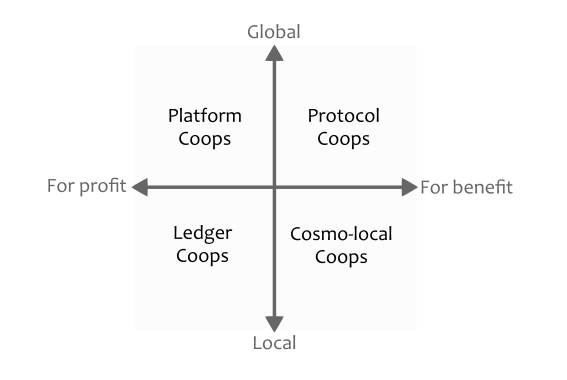 One of the challenges with introducing the SMart cooperative model is how to gather freelancers when, almost by definition, they are a disaggregated lot. In a sense, this supports that notion that the starting point is in single industries where the gig economy is dominant (eg. graphic designers). This would allow industry representative bodies to focus on the benefits to the workers in that sector (for example, the AMWU represents graphic designers). Ideally, these organisations have the existing organising capabilities and resources to bring freelancers, government, and industry stakeholders to the table to effectively execute a coherent strategy.